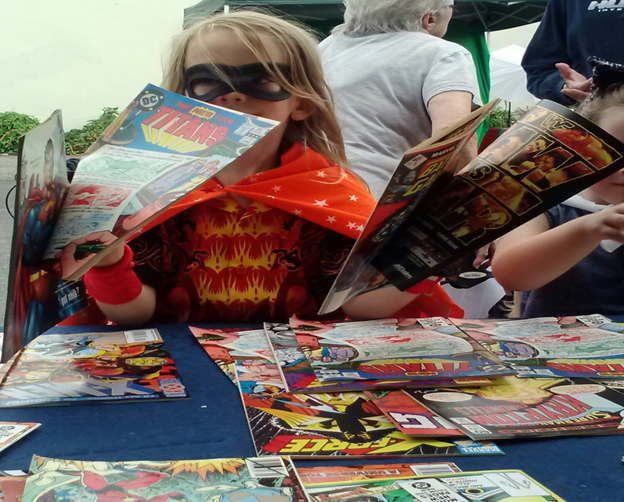 Comics4kids collects comic books and then donates them to children. This is part of our mission to improve literacy and foster imagination through comics. This is made possible by fundraising and generous donations made by our supporters. All contributions are welcome and essential to advancing our efforts. Comics4Kids is a Seattle-based Library and National non-profit organization that has IRS 501 (c) 3 tax exemption status.